Starcross Arena is designed to be a light, fast, easy-to-learn, hard-to-master, multiplayer space flight arena. 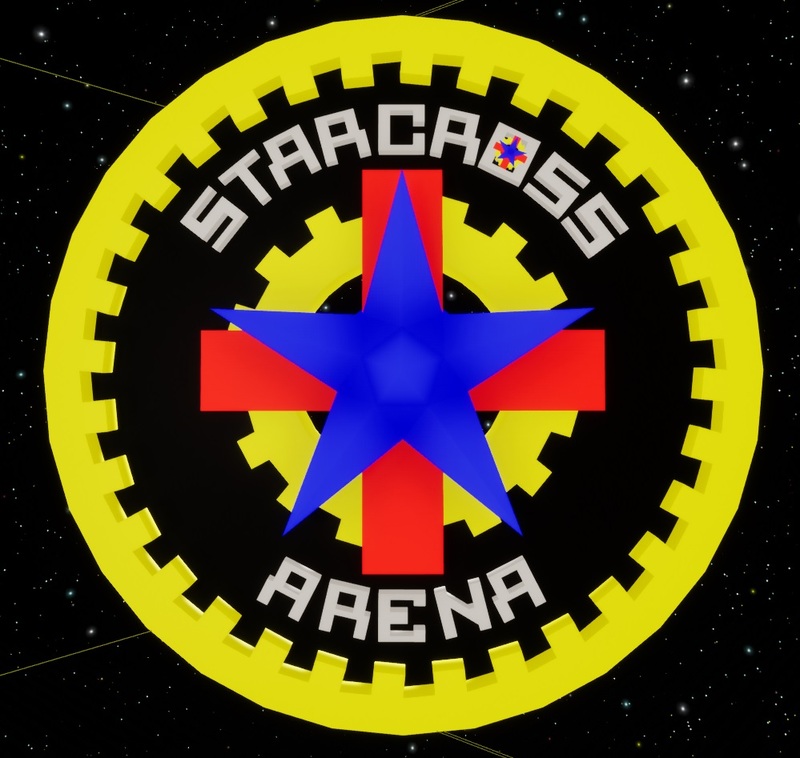 Our vision in developing Starcross Arena is to create a game that provides a sense of lively, yet low-aggression competition, and whimsical, bright, colorful, excitement. Players compete for the highest score in Free-For-All mode, or to be the last ship flying in Elimination mode. The hardest opponent you’ll face is your own timing. Turn, burn, and laugh until your sides hurt with your family and friends in a game that’s fun for all ages. Update: We’re migrating our deployment to Steam. All owners of Starcross Arena – Alpha will be provided with a Steam activation key at no additional charge upon release. Release scheduled for November 23rd, 2018. Migrated account login into the game. Release notes added to the login screen. WIP fixes to match completion. Ship customization is now live. Many fixes to gameplay and data replication. Added a preliminary model of the Founder’s Limited Edition ship. Migrated ship selection to the game’s settings screen as a precursor to adding customization. Account login added to game launcher (for the time being). Updater now relaunches the launcher upon completion rather than waiting for user input. Main menu screen now rotates the demo ship’s appearance.